Positive reviews are a glittering bait that can catch your business’s potential customers. The internet allows individuals to access information of all kinds; This includes thorough searches that people make before trusting an online or local business. Research highlights that more than 50% of consumers tend to ‘often’ or ‘always’ dig out online reviews. This is in comparison with only 34% of people who hunt information on pricing and discounts online. A study also points out that the number of people who read reviews has jumped from 88% to 92%. Only 3% of the customers don’t look for online reviews when purchasing from a local business. These statistics indicate that reviews influence a major chunk of your customers. In fact, the Local Consumer Review Survey of 2017 highlights that 85% of consumers trust online reviews akin to personal recommendations. The survey also showed that 73% of individuals acknowledged that positive reviews eased them into trusting a local business more. Likewise, 49% reported that a minimum of four-star rating was critical for choosing a company. These figures establish the significance of reviews for your business. In the light of these numbers, however, there is probably one alarm bell that has already gone off in your mind. It rings with the shrill sound of negative reviews. 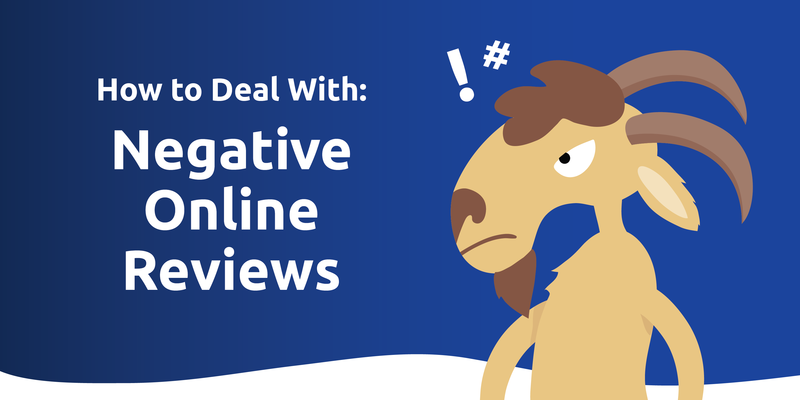 How bad are negative reviews for your business? Bad reviews are an instant bummer for any business. A poor review on Yelp can account for a loss of 30 customers. Simultaneously, a one-star bump up in rating can help boost revenue by 5-9%. On the one hand, it’s clear that no reviews translate into no revenue. This is in alliance with a study which concludes that among two similar items with same ratings, people would opt for the one with more reviews. Even so, consumers picked the popular product. The Fan & Fuel Digital Marketing Group states that 92% of consumers are reluctant to make a purchase if there aren’t any reviews less than 5 stars. On the other hand, bad reviews wreak more havoc. Statistically, unfavorable reviews fend off 86% of people from a business. Top this up with the fact that 90% of consumers read roughly ten reviews before an opinion about a business takes root in their mind. If a bad review comes in the chain of these reviews, it can negatively impact the consumer’s view of your company. Moreover, the electronic word of mouth spreads like wildfire, so you don’t want to risk a poor reputation that has a long-life expectancy. So, if a poor review threatens to tarnish your reputation, the foremost thing to do is get in action. Sweeping a bad evaluation under the rug can cause more harm, therefore, deal with the devil before it sprouts its reach. How should you deal with a bad review? It is critical to quell the mini-disaster caused by a bad review because it has a flair for growing big. Your first measure is to respond promptly to it. Just a few days back, ASOS misprinted 17,000 bags with a typo. However, the online-only retailer was quick to own their mistake and joked about calling those misprinted bags as their “limited edition.” Consequently, customers loved the brand more, as it professed the mishap before anyone else even pointed it out. The lesson learned from this recent episode is simple, and it spells out as quick damage recovery. Such a measure can also be reciprocated in the case of bad reviews too with instantaneous response and admitting one’s mistake. Even if there isn’t any mistake, then the misunderstanding needs to be cleared at the earliest. Leaving the review hanging means that it accumulates bad comments too. Four or more such negative comments can cast away up to 70% of potential customers. Your response catalog should, however, linger on the page of who you should respond to. While replying without delay is a given, it is not essential if the review is unfair and is authored by a weak authority. Some signs of such a reviewer include one that is a frequent complainer, makes clearly irrational remarks, posts from an obscure personal blog or uses inadequate language. It is better to leave such remarks on the back burner. Once you are clear that the negative review comes from a genuine customer, attend to it immediately. Before crafting your response, however, it is critical to do your homework. Try to find out both sides of the story by seeking your staff’s opinion on what went wrong with the transaction. Get to know the customer’s problem concurrently. You might want to approach the customer privately to hunt out more details if they are already not clear in the review. Once you have the facts straight, craft your response. Replying and resolving problems sends out the message to your customer that he is valued. It will also show other customers that their satisfaction is an utmost priority for your business. Also, keep in mind that 70% of business transactions rely on how good a customer feels about how he is treated. Hence, your response to the customer’s issue plays a critical role. In addition to responding, fix the issue. Customers whose problems are solved in the first shot exhibit a two times tendency to purchase from your business again. On a side note, know that report about poor customer service travels twice as fast as news about good customer service. Of course, you don’t want such implications to plague your business’s reputation. Therefore, keep in mind that your corrective strategy entails responding quickly to genuine negative customer reviews, addressing the issue, and resolving it immediately. Don’t forget to be polite in your response. JetBlue Airways sets a good example of handling customer grievances. Their manager of Customer Commitment and Social Media, Laurie Meacham, reveals that they aim to solve customer problems within 10-minutes. 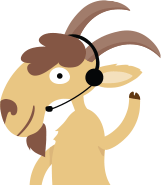 Furthermore, the team molds this query-resolution in favor of their brand image by cultivating a unique voice for their company. Another case in point is set by the manager Philippe from the Stamford Plaza in Brisbane. A negative review on TripAdvisor claimed that the hotel provides noisy rooms. On top of it, the message also complained about impolite staff. Instead of panicking or ignoring the review, the manager responded with a thoughtful response entailing an apology. He also reassured the customer that the hotel was already working to improve those gray areas. Admitting guilty has also been adopted by inspirational companies in their response to their customers. For instance, a customer complained about the Kréme de la Kréme Nail Lounge being costly and having non-hygienic standards. The reviewer reported that she developed an infection as a result. Other than such a poor review, the salon garners mostly positive reviews. Angela T., the business owner, takes out the time to thank all the people who leave positive reviews. In such a case though, Angela T. didn’t shy away from the issue. She took her customer’s concern seriously and requested the customer to bring pictures of her infected finger. She also insisted for compensating the matter. To another review that complained of the high prices, Angela agreed and explained the reasoning behind it as well. Such responses from business holders show that an adequate response to a non-shady bad review is a must. The response could range from anything between owing up to a mistake and apologize and compensate the customer. The all-important fact is to respond to the review because studies confirm that 4 out of 5 consumers decide against buying from you by reading unfavorable reviews. Evidence also underlines that it takes 12 positive experiences to rectify a single, unresolved negative experience. Thus, responding and resolving the customer’s issue is essential. Over and above that, settling the issue outlined in the bad reviews tells the customers that they are cherished. Therefore, address the problem before it grows into a mountain from a molehill. At the same, work to improve your positive reviews. To this end, make your customers happy so that they end up giving positive reviews. User-generated content (UGC) is an important tool that works its magic to improve your brand’s reputation. In fact, UGC is a better investment priority than paid advertisements. In a nutshell, do not go into a flat spin as soon as a bad review is posted about your business. Scrutinize the remark and see if it deserves a response. Once decided that it comes from an authentic person, get to immediate work and collect your side of the story. If it’s a mistake, own it to your customer. If not, then you need to iron out the misunderstanding. Lastly, craft your response in a frank and polite language and try to fix the issue swiftly.